Are you a die-hard cricket fan? Well, even if you’re not, it will not make a difference here. Because who doesn’t know Mahendra Singh Dhoni? He was our captain cool who needs no introduction. Even if you have no knowledge about the world of cricket, I am sure you know Dhoni is no less than a celebrity in India and the world. From Reebok to Bharat Matrimony, he has advertised many of the renowned brands. The Brand Value says just enough! 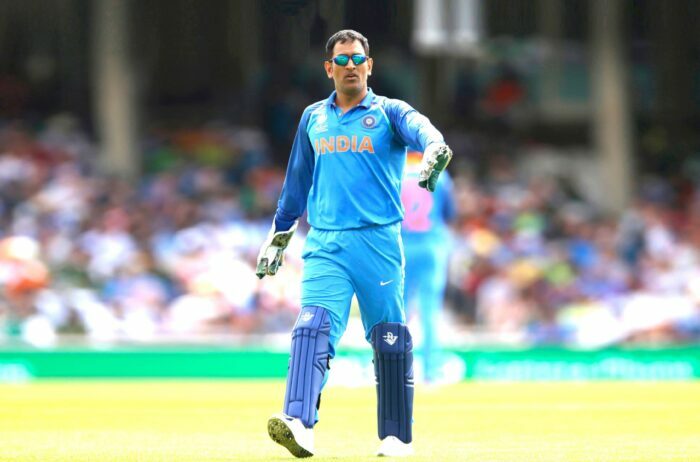 Apart from being the captain of the Indian Cricket Team, Dhoni has a brand value of $26.9 millon and is ranked 12th in terms of celebrity brand value, according to a Duff & Phelps Celebrity Brand Valuation Report 2018. Even Forbes India, in its 2018 Celebrity 100 list ranked MS Dhoni at the 5th position with his earnings being ₹101.77crores. 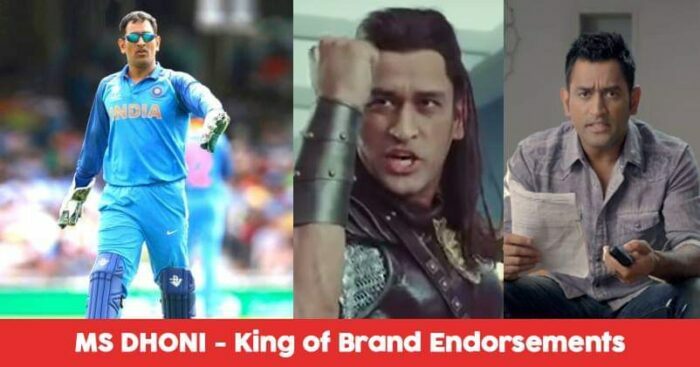 Dhoni has been promoting various brands that are the best in their category. The brands include Reebok, Colgate, GoDaddy, Aircel, Boost, TVS, Cello, Siyaram, Bharat Matrimony, Mastercard India, Snickers, Orient, Gulf Oil India, and many more. In a hilarious Pepsi ad, Dhoni channels his inner ‘Chennai Super Kings’ and emanates Rajnikanth-like swagger, making this ad a hit all over the country. This ad was a result of Dhoni being elected as captain of Chennai Super Kings that year. Cricket and Bollywood have always shared a relationship since time immemorial. However, when the legends of both the categories meet each other on the same platform, it obviously ought to be the best. That is exactly what happened when Shah Rukh Khan and MS Dhoni came together for this Videocon ad, portraying the role of ‘bichhade hue bhais’ and ended up portraying the each other’s real-life professions on the reel. In this recent ad of Dhoni, he proudly wears this mother’s name, Devki, on his jersey, stumping the media present. In a reply, he tells the media, “For so many years, I have been wearing my father’s name; then you never asked me “any particular reason?”. Reminding the viewers exactly why Dhoni effortlessly commands the kind of respect he receives. In this ad, Dhoni portrayed as a soldier from the old civilization who has lost his cool just because of his hunger. He has a bite of Snickers and he is back into his normal and calm self, ready to go to the field. The transformation has very beautifully portrayed from a hungry captain to a non-hungry captain. The Ad promotes child lock as a feature where Dhoni is trying to figure out how to enable child lock for her nephew. In a change, she comes and helps Dhoni figure it out and in the process blocks all the cricket channels showing that the upcoming generation is smarter than what they look like.